Moving is a lot of work. There’s a lot of moving parts, from the initial decision to find a new home somewhere else to the first night in the new place, eating pizza delivery and feeling equal parts tired and thrilled. Do you have proper licensing? To be able to operate an interstate moving company, businesses are required to acquire a licensing number through the United States Department of Transportation. If a company doesn't have one of these numbers, it means that they're operating outside of that quality check system. When it comes to moving within a state, the regulations change depending on the state itself, but most states require their own kind of licensing. Either way, you can check on the number and history for interstate and in-state companies with relative ease. Can you provide me with some references? Word of mouth is the best way to know the truth of whether a company provides consistently great service or not. First, you're going to want to Google them to see what comes up with a simple, initial search, but asking them directly and seeing how they react can give you a good idea of how they handle reviews. Another thing you can look at is the company's Better Business Bureau rating and whether they're associated with national chapters like the American Moving & Storage Association. What are your rates and are there any additional fees that can be incurred? The most common types of rates you will find with moving companies are per pound, per mile, or per hour. What works best for you will depend on the length of your move and how much stuff you have to transport. When you ask about an estimate, make sure that when it's provided, it is in writing and includes everything, like whether or not they have any potential charges that could pop up due to incidentals. Make sure you both sign the written estimate before doing any work together. What are your packing and storage practices? Ask them about how they protect and label your things when they're packed and moved. Ask if they shrink- or blanket-wrap furniture, question how things are differentiated and identified, and ask about service charges for appliances to see whether or not it fits into your budget. Talking about this beforehand will save you potential headaches down the line. What sort of insurance or liability coverage does your company offer? What sort of coverage they provide can be a big decider as to whether or not you choose a specific storage company. There are protections for interstate movers determined by the Federal Motor Carrier Safety Administration (FMCSA), including both full value and released value protection. When it comes to moves within your state, protection depends on your state regulations. The FMCSA does recommend looking at your existing homeowner's insurance policy before considering third-party moving insurance because, in many cases, you may already be covered. What is your cancellation policy? Things happen and knowing what penalties you may or may not incur when those things do happen will make the whole process less stressful. Moving doesn’t have to be stressful when you know what to ask and what to look for. 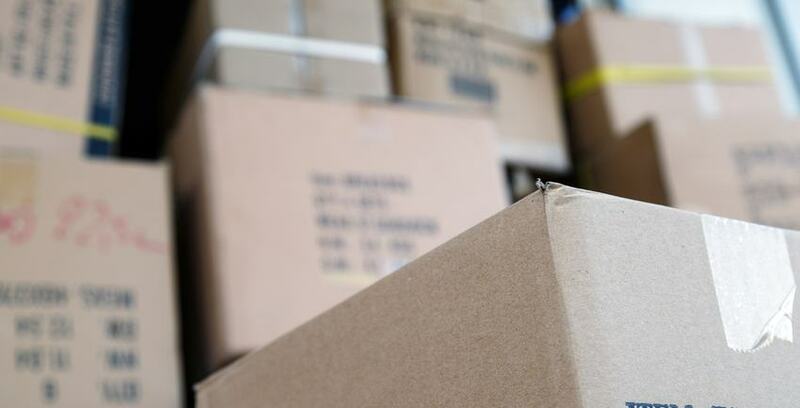 The next time you move, if there are things that aren’t going from point A to point B, you can always leave them at point C. Point C is an easy-to-rent storage unit from Storage Direct. Feel free to contact us with your temporary or long-term storage needs!